The Saturday party is going to be crazy next week, with Ebuka and a Special guest joining the Housemates for the fun. It will be a moment in Big Brother Naija History, for the first time, a host will actually joint the Housemates inside the House to party the night away. 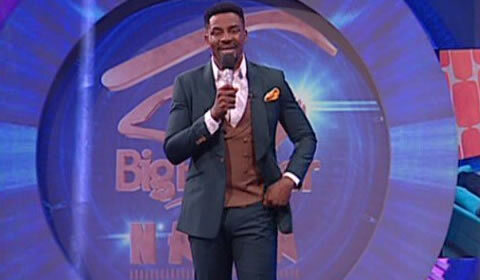 Ebuka made the announcement after leaving the Housemates hanging about the supposed Nominations. On the back of this cliff-hanger Ebuka told us that he and a special guest will be joining the 11 Housemates on Saturday for the party which was also a statement shrouded in mystery. It begged so many questions - How will the Housemates react to this? Who on earth could the special guest possibly be? The Saturday party is always lit but this is just going to take things to a whole new level, it will be Big Brother Naija reloaded with the two previously Evicted Housemates back in the game and now Ebuka just to add some extra hot spice to the mix. Ebuka did not give much away and said that we will need to watch and see what happens going forward. We all know that he has the ability to speak what a lot of the Housemates leave unspoken so it should be an extremely interesting social experiment. The big question is – How do you think the situation will play out? Who do you think will be Ebuka’s special guest?